This lightweight and highly portable search kit is used for counter-terrorist tasks and other tactical situations. It enables search personnel to deploy with a compact but comprehensive range of search equipment. 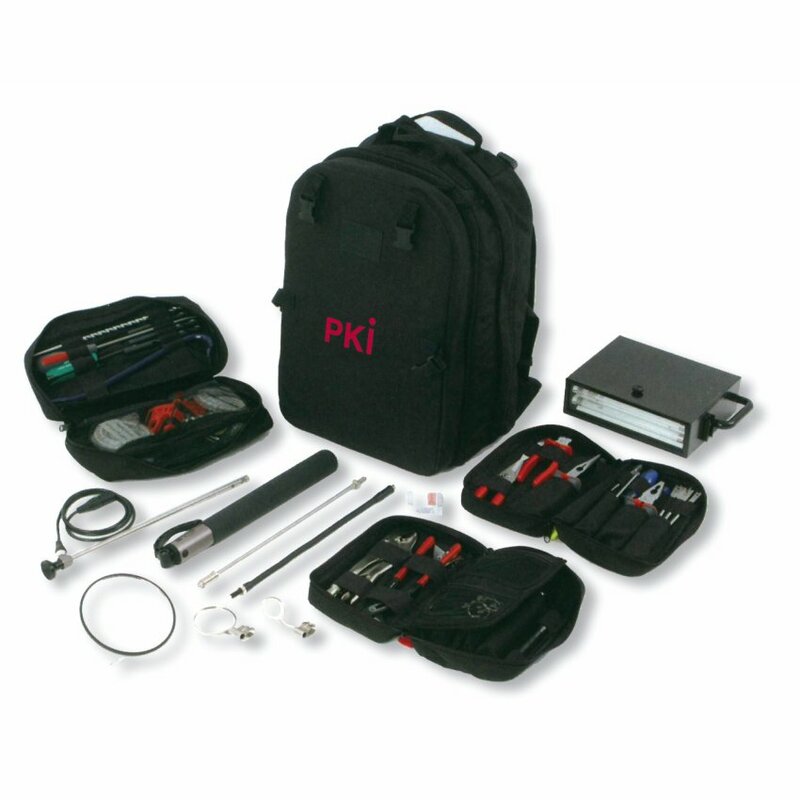 The PKI 9970 is the perfect search kit to carry out a wide range of search activities in the most demanding of environments and under hostile tactical conditions if required. The equipment is contained in a specifically designed backpack that offers a comfortable ergonomic design combined with the practicality of equipment stowage. The equipment is laid out and designed to enable search personnel to gain access to the required grouping of equipment quickly and easily. The backpack has also been designed including extra free space, allowing search personnel to insert some of their own personal equipment if required. An additional hardened air transport case is available upon request.